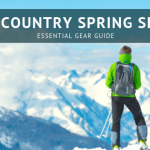 Cooking above tree line can be a challenging endeavor if you’re not prepared. Above 10,000 feet the environment drastically changes, which has direct results on water availability and a stove’s performance. 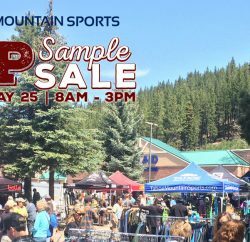 Fortunately we have a high alpine recipe that was invented by Lake Tahoe athlete and personal trainer, Chris Cloyd. 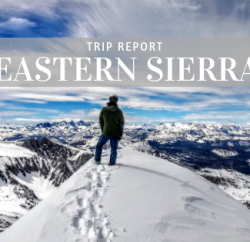 Chris is an avid snowboarder, mountain climber and runner which makes him a frequent visitor to many Sierra Nevada summits. When Chris spends time at high altitude he likes to eat meals that are both efficient and nutritious. This is one of his personal favorites – Chicken Sausage with Veggies and Rice (recipe below). Altitude decreases air pressure; causing water to take longer to boil and food requires more time to heat through. The direct result being faster fuel consumption, which can quickly become a problem if you’re relying on cooked meals. 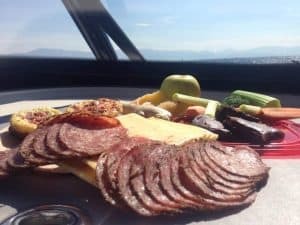 Fortunately, Chris Cloyd came up with a simple solution to mitigate this problem: pack pre-cooked and fast heating ingredients that can be prepared using minimal amounts of fuel. 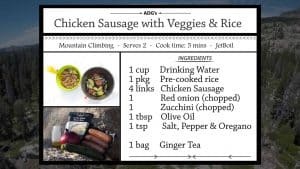 Chris’s recipe for Chicken Sausage with Veggies and Rice takes just a few minutes to warm using a one-pot JetBoil Zip Cooking System. 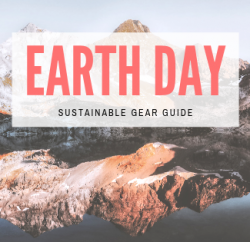 He recommends this stove because wind is often a factor at high altitude and you need a stove that can light and stay lit in those conditions. 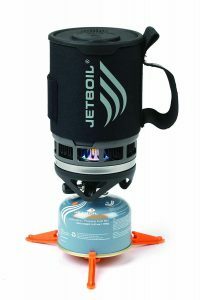 This stove is also lightweight and self containing for fast and light trips making it easy to pack. We recommend you always turn off your fuel when not cooking and conserve as much as possible. In the event that Chris is low on fuel, he can still enjoy his meal semi-warm since the sausage and rice are already pre-cooked. Another challenge with cooking above tree line is that you are typically above any water source, which means you have to carry all drinking and cooking water with you. For this reason it is important to be very resourceful with any water you use when making a meal. Chris always finds ways to repurpose his water, weather it be for cleaning or use in a cup of tea. When preparing Chicken Sausage with Veggies and Rice Chris brings one cup of water to a boil, which he uses to heat his sealed bag of pre-cooked rice. Once the rice is warm, Chris pours 3/4 of the water into his backcountry mug and enjoys a cup of ginger tea while he uses the remaining 1/4 cup to steam the sausage and veggies. Efficiency is essential when you are miles away from a water source! Another reason Chris’s recipe is great for high altitude adventures is because it’s packed with nutrition. 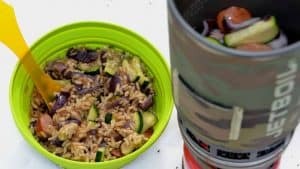 Chris is very conscious of the foods that he brings when he hits the trail, so he packs meals that optimize his performance and recovery time. Chicken Sausage = Protein. One link has around 18g of protein. Pre-Cooked Rice = Carbohydrates. A half cup has around 43g of carbs. Red Onion = Anti-inflammatory. Helps accelerate your recovery. Zucchini = Vitamin C. Also has a good electrolyte profile from magnesium and potassium. Olive Oil = Good Fats. Packed with monounsaturated fatty acids and anti-inflammatories. Ginger Tea = Digestion. Its common at altitude to lose your appetite, ginger helps with digestion so your body can make the most of the nutrients it receives from food. 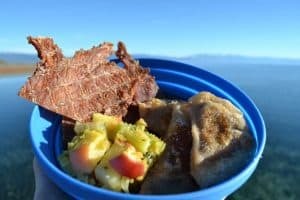 Now you can eat this good in the backcountry! Here’s the recipe for your next camping or backpacking trip. 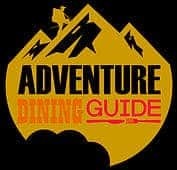 For more recipes, backcountry cooking ideas and meal planning check out Adventure Dining Guide. Leave us a comment with your favorite backcountry meal or recipe. We’d love to hear from you! 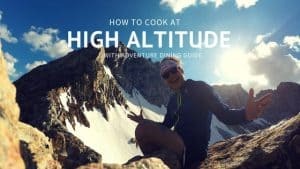 Ridgeline Stoke: Chris Cloyd spends a lot of time above treeline, he knows what it takes to make a great high altitude meal. CC Recipe: Visit www.adventurediningguide.com for cooking instructions and recipe details.